Modern Salon magazine has featured Capillus LLC, during their annual HAIR + Summit live event dedicated to helping salon professionals provide their clients with solutions for hair loss and thinning. The story focuses on how Capillus laser therapy caps play a major role for stylist and salon clients in the reversal of hair loss due to androgenetic alopecia. In addition to highlighting Capillus’s hair restoration efforts, this year’s HAIR + Summit featured the new comfortable flexible fit Capillus cap with continuous wave light delivery. This new advancement vastly reduces the users wear time from 30 minutes every other day to 6 minutes daily. The new technology now provides users with a continuous wave output for a faster treatment. All Capillus mobile laser therapy caps are available for legal distribution by salons and stylists as per FDA clearance. Readers are invited to visit https://www.capillus.com to learn more about Capillus hair regrowth products and laser therapy medical devices. To learn more about the Capillus Stylist Program visit https://www.capillus.com/stylists. Capillus also offers additional non-prescription clinical hair products for hair and scalp health. 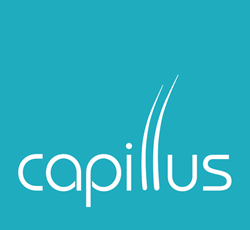 Capillus products are available directly to the public for at-home use and also to their network of physicians for office use. For more information visit http://www.capillus.com.